What a turnout and wicked effort from the OCC fleet!!!!! !! 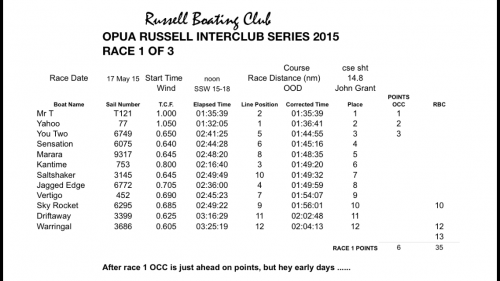 !Next race is on 31 May, Queens Birthday weekend, Opua start!! !